Many states and municipalities have restricted or banned, in their entirety, the sale of products containing mercury including mercury sphygmomanometers. Please contact your local EPA branch for guidance on restrictions that may exist in your state. Blood pressure measurement and management is an integral part of healthcare. Regular blood pressure checks can provide early detection of disorders and lead to long, healthy life. 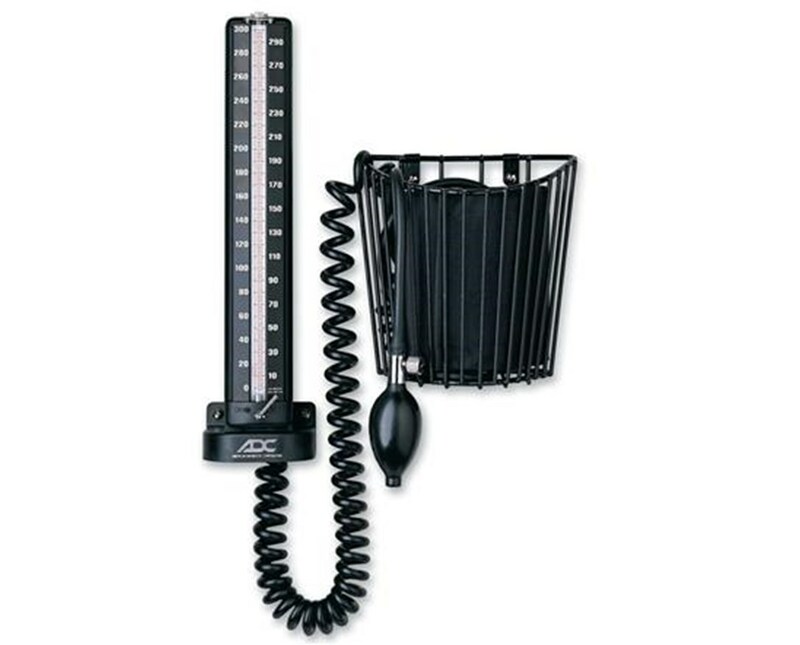 At the forefront of blood pressure management is ADC's Diagnostix™ 952B Series Swivel-Mount Wall Sphygmomanometer. 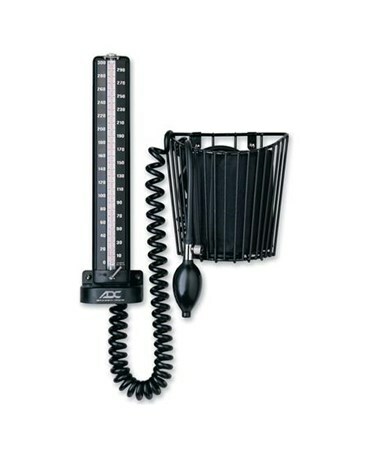 Physicians and other healthcare professionals may rely on the sleek, attractive sphygmomanometer for maximum accuracy, while improved safety features ensure use without worrying about mercury spills. The unit’s convenient wall-mounted design features a wall bracket that swivels in a 110° arc for enhanced visibility. The package is completed by a vinyl-coated wire cuff storage basket and all necessary mounting hardware. Base 16" x 8" x 8.5"